Nothing speaks louder than the written word. Nothing speaks more clearly than hidden thoughts revealed. Does all of the talking. Going through old photographs, I stumbled across this sidewalk message my son had left behind written with his own hands in chalk. A complete stranger walking by would probably miss the message as the “heart behind the message” was meant for a wife and daughter. Our son of “few words” spoke volumes with a five word sentence to two tender hearts who need to be reminded from time to time of his affections. Ironic that years later during a lonely nine month deployment, our son’s daughter and now young son leave their “heart’s message” to be sent overseas in a Father’s Day card scribbled in words only a daddy could understand. Maybe my opinion is biased as I am a woman of “many words”. Maybe because “gifts” is not one of my primary love languages where I prefer to unwrap a present of thoughts instead. One year for his birthday, that’s exactly what papa asked for his special day, a “gift of words” presented in a life size card written and decorated with a “hearts message” from his grand-kids. Papa’s heart is a container that collects and keeps the spoken love of these precious grandchildren close that he might return to their thoughts when missing them. Just last night I uncovered the “hearts message” of my mother while going through her life’s boxes of memories for our family to divide. As long as I can remember, mother took us to church, whether we walked, hitched a ride or drove when mother finally earned her driver’s license late in life. I am who I am because mother introduced six children to Jesus. Box after box, mining the treasures of all sixty of them, I came across my mother’s New Year’s Resolution written one year on the first day of a new devotional / journal. Mother also a woman of a “few words”, I felt like an intruder reading her personal thoughts, yet excited to hold an unlikely treasure, my mother’s words in her own writing. Spend more time in the Word. To live right before the Lord. When thinking about my own life, God’s love overwhelms me when I ponder the “heart behind the message” that God already saw my unborn face and chronicled in His journal every day of my life before I was ever born. To be loved by another is every little girl’s dream; well, at least this girl. 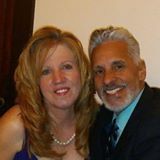 Marrying my husband David after walking a five year journey alone, my version of a “real life dream come true” was a faded imitation and paled to the life God planned ahead of my broken heart and tears. If I could rewind that October clock 24 years ago and give a wedding card to that 33 year old bride of my former self, the inscription would let her in on a secret that “life, love and joy” ahead will be indescribable to wrap one’s mind or arms around. In our real life dream come true. To love you is to live. Words may be few, words may be more than few. “silver boxes with a bow on top”. while exchanging wedding vows at the altar. Words were prepared with our “forever together” in mind. Some words rehearsed, some words a heart’s overflow. The “heart behind our message” these glorious twenty four years is the sum of three small words; a heart’s message that David every so often leaves behind for me on a snow covered windshield. Three words we don’t take for granted. Thank you so much Chris for your kind words. That was beautiful Lori. I remember the little silver boxes we got at church to. Still have mine somewhere. Thank you Jerri. After packing up my mother’s house, I found her silver box from that woman’s event. Thank you for your kind words.